Ask one of our representatives for more information on any of your material handling needs. Our Dynaco high speed doors are the safest on the market. 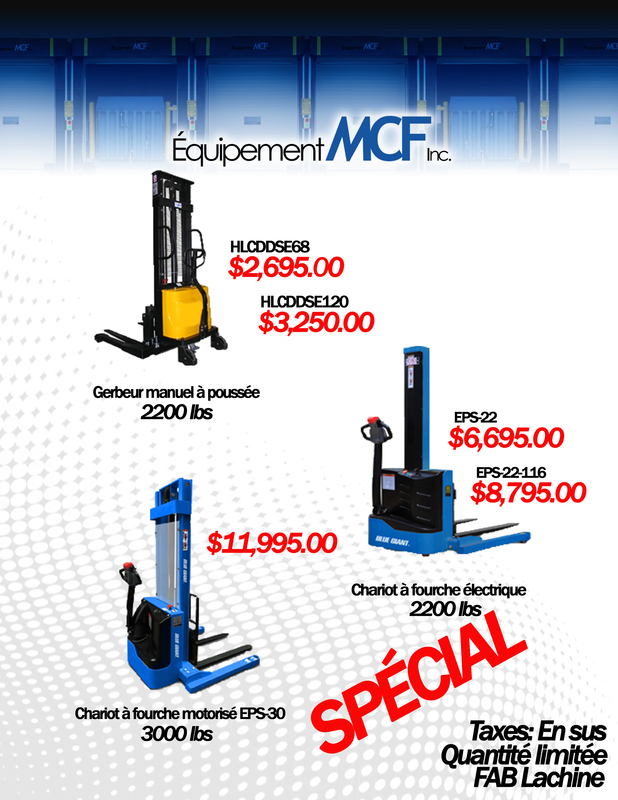 Premium dock equipment at competitive prices. Let us help you determine the best parts and accessories for your facility and equipment. 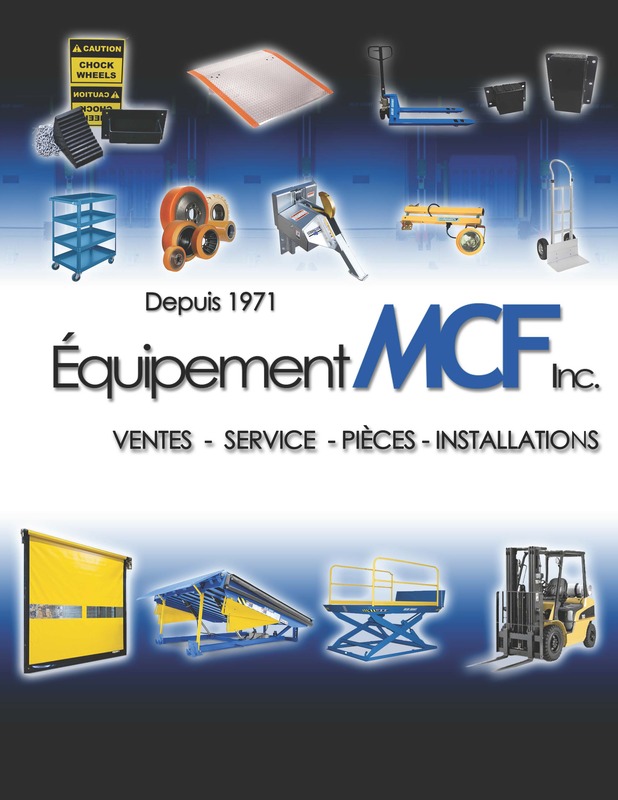 Starting in 1971 MCF Equipment has grown to be a leader in the material handling equipment industry. Providing fast reliable service for all your industrial needs. Whether you’re maintaining your existing equipment or considering a replacement MCF looks forward to proving you the best possible solution. 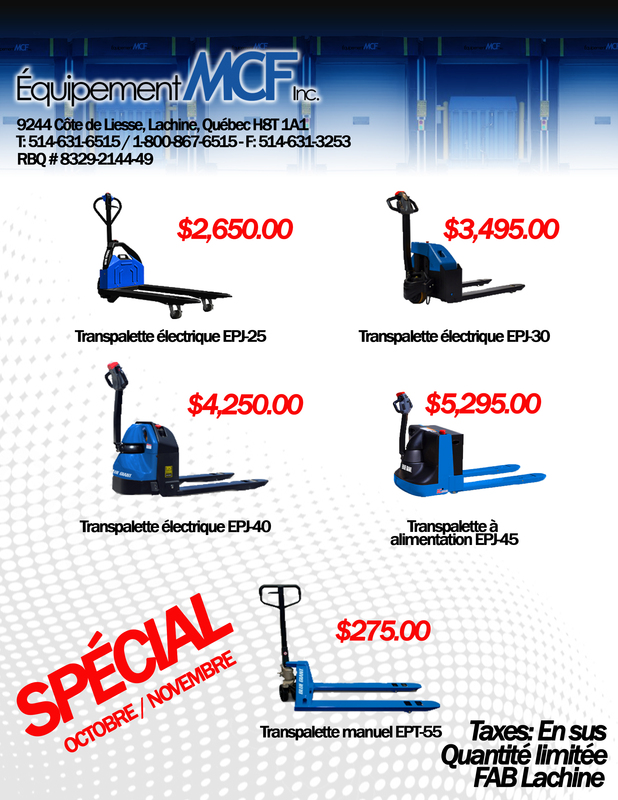 Increase warehouse and loading dock productivity and reduce risk of worker injury with our electrical and manual pallet trucks, straddle stackers, and counterbalanced lift trucks that pick up & transport heavy cargo smoothly & efficiently. High speed industrial doors that enable energy & cost savings as well as optimized traffic flows, production and logistic activities. Safe, reliable, maintenance and user friendly. We can do better; and we will. 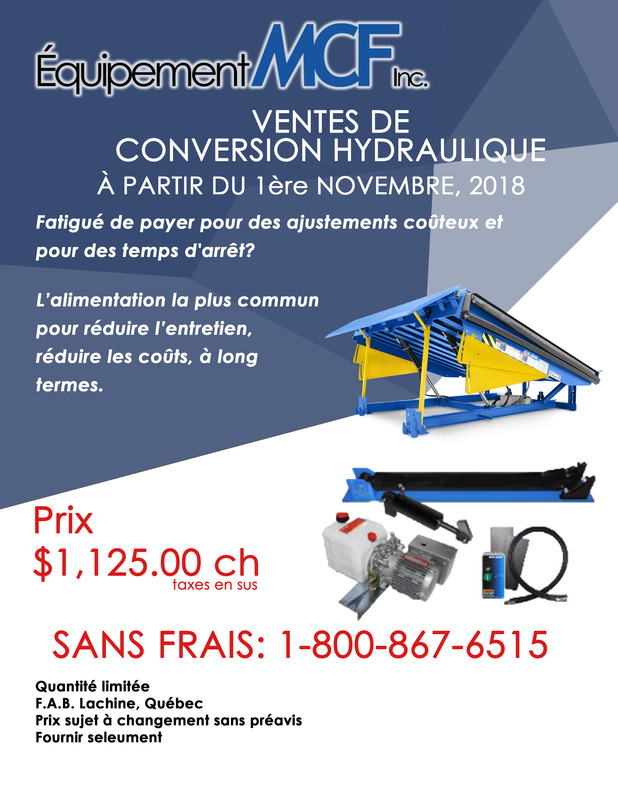 We started in the Material Handling Equipment business in 1971 and presently distribute lines of quality material handling products throughout Canada with concentration in Quebec, Eastern Ontario, and the Maritimes. Over the years we have acquired a great deal of experience in the supply, installation and repair of material handling equipment including dock levelers, scissor lifts, door seals, impact doors, Fast-roll doors, security products, industrial forklift trucks and related equipment. We offer an extensive line of products and accessories. We can design and build door seals, impact and Fast-roll doors, dock levelers, scissor tables or elevating docks and forklifts to customers’ specifications.